Logitech today announced the Logitech® V450 Nano cordless laser mouse for notebooks, providing more comfort and productivity for professionals who use a notebook PC or MacBook®. 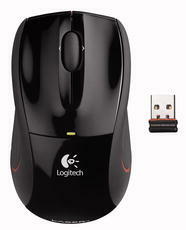 The V450 Nano mouse features Logitech’s exclusive Plug-and-Forget Nano-receiver. 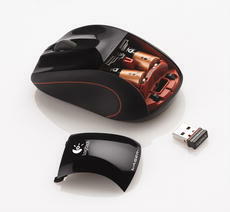 Because of its small size, people can plug in the USB receiver once and then forget about it – the mouse is always ready for use. The V450 Nano mouse also offers increased productivity thanks to an advanced laser sensor that delivers smoother tracking and better precision on virtually any surface, 12 months of battery life, and Logitech’s advanced 2.4 GHz wireless technology. Notebook users will appreciate the comfortable, ergonomic design, which includes soft rubber grips. The V450 Nano mouse (MSRP $49.99 U.S.) is expected to be available in the U.S. beginning in late May and in Europe beginning in July.